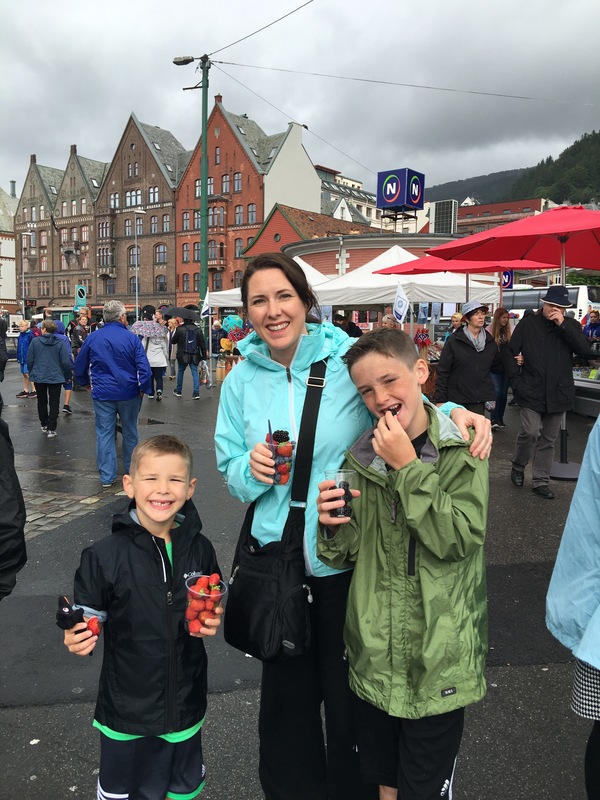 Norway was a place of highs and lows for us. 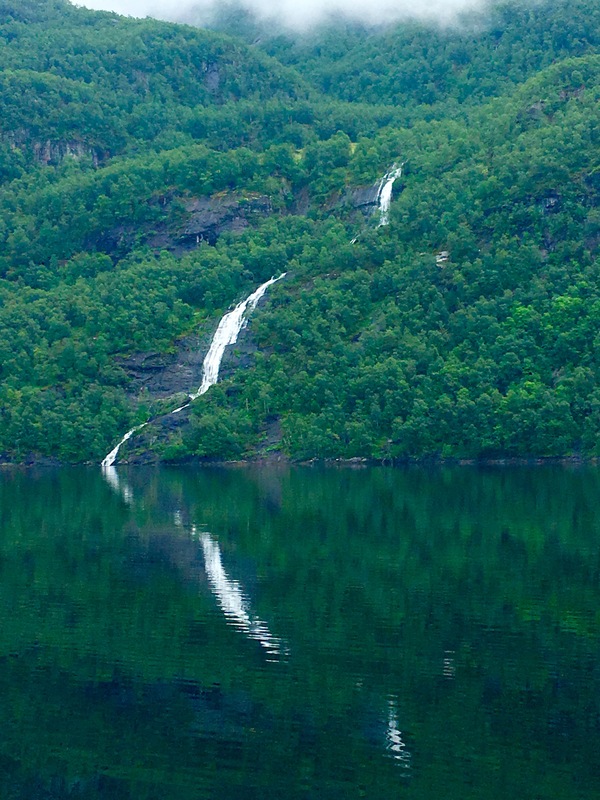 High waterfalls, high prices, high cliffs,and high dives were countered by some travel lows. 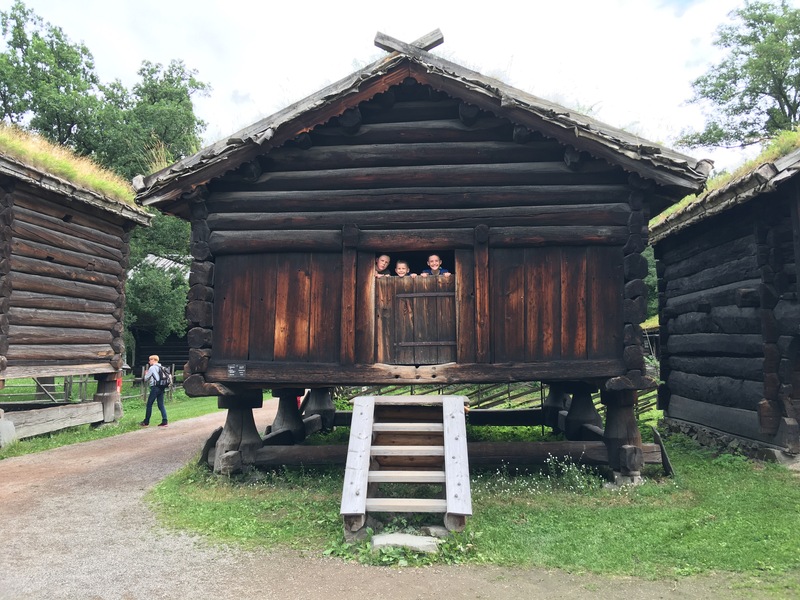 Although, it started off pretty low, we managed to end on a high note in Oslo. The first low is our own fault because we made the mistake of booking a red eye. 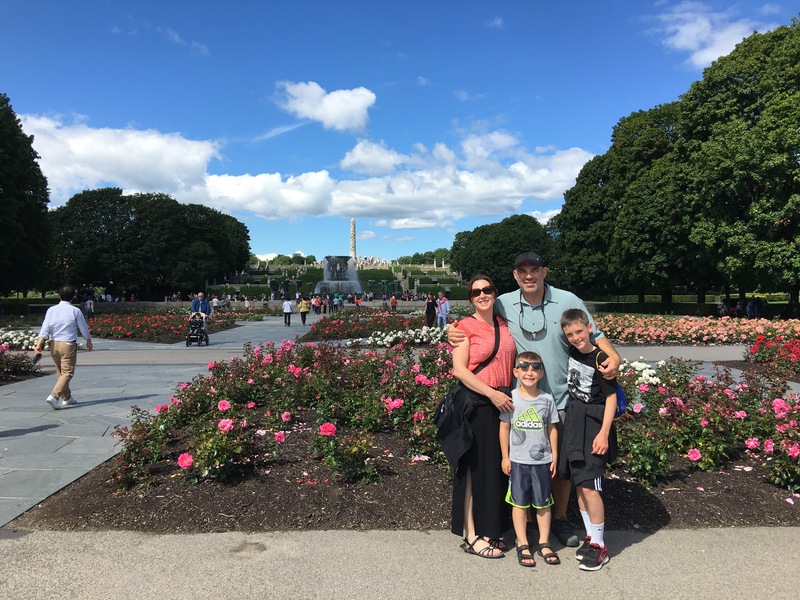 They always sound like a good idea, “We won’t waste a day traveling,” “It’s so much cheaper,” “We’ll sleep on the plane,” all things we’ve told ourselves and all found to be either not true or not worth it! 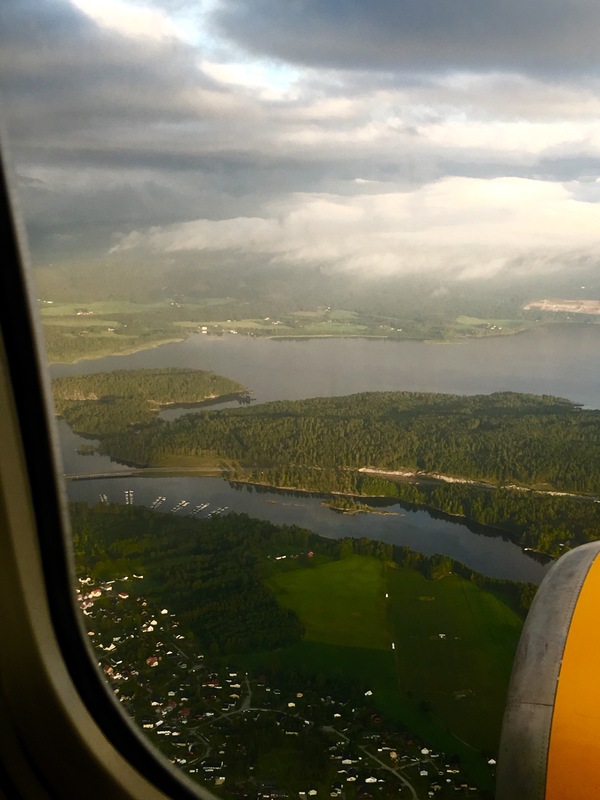 We didn’t leave Iceland until 1:00 in the morning and with the time change our flight, that was only 2 1/2 hours, landed at 6:00 am Oslo time. 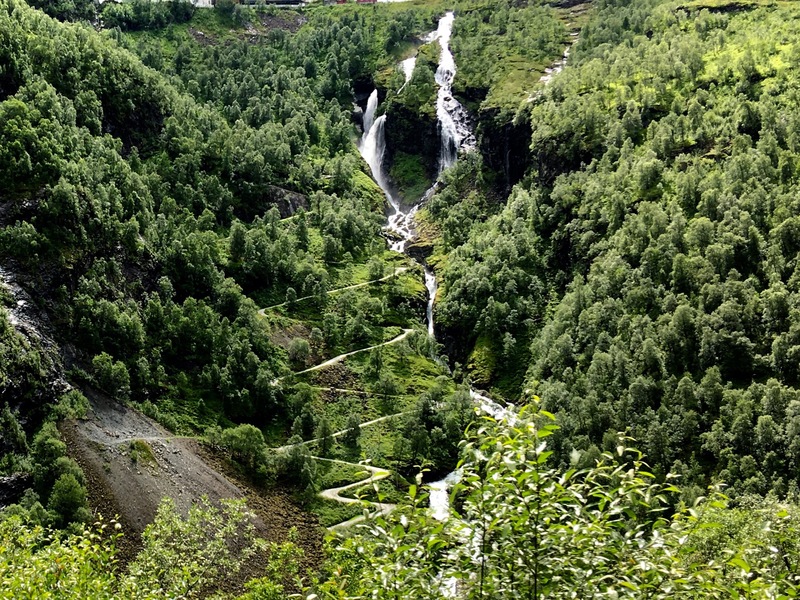 We then went straight to the train station for a 5 hour train ride to Flam and then to Bergen. Our train was delayed an hour but only by 3-5 minutes at a time. So we had to wait out on the platform and would think, oh good, only 5 more minutes and we will be able to go…then it would be delayed again. Imagine the frustration of no sleep, and that happening about 20 times in a row. 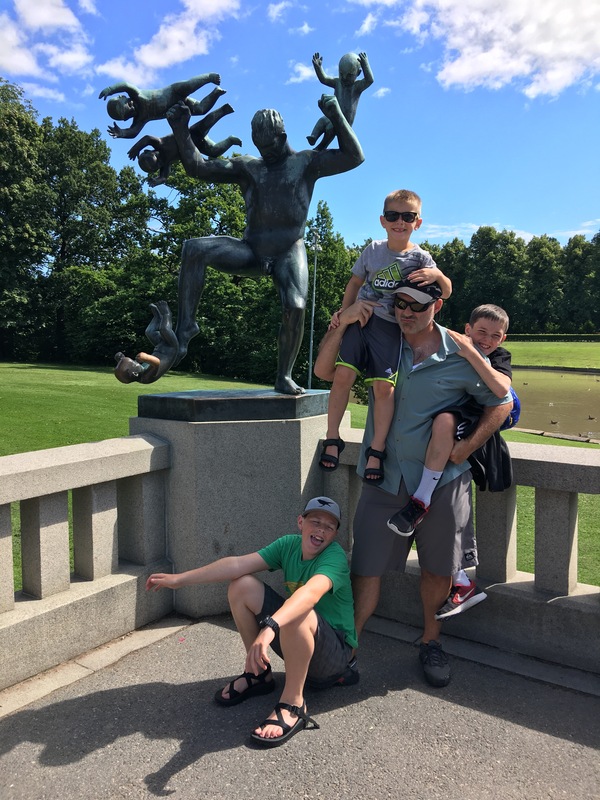 We had to laugh or we would cry! 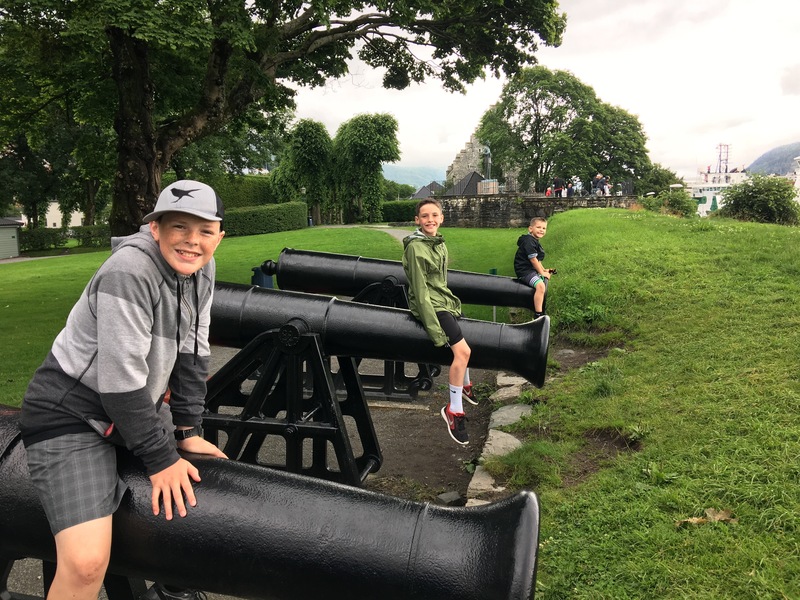 Ordinarily this is the perfect time to hand over iPods so the kids could distract themselves in a way other than bugging one of their brothers, but as we went to do this, we realized that Luke left his iPod on the plane! We actually had an extra old cracked one we brought just in case of this type of thing happening. However, it only took a few more hours on the train and a switch to a new train for Tyler to leave his iPod on the train! 2 iPods lost in one morning and we haven’t even been gone a week…this was not a good start to our trip. Those of you who know us well know that we love our sleep. Part of the reason is that this is how we function on no sleep…not very well! 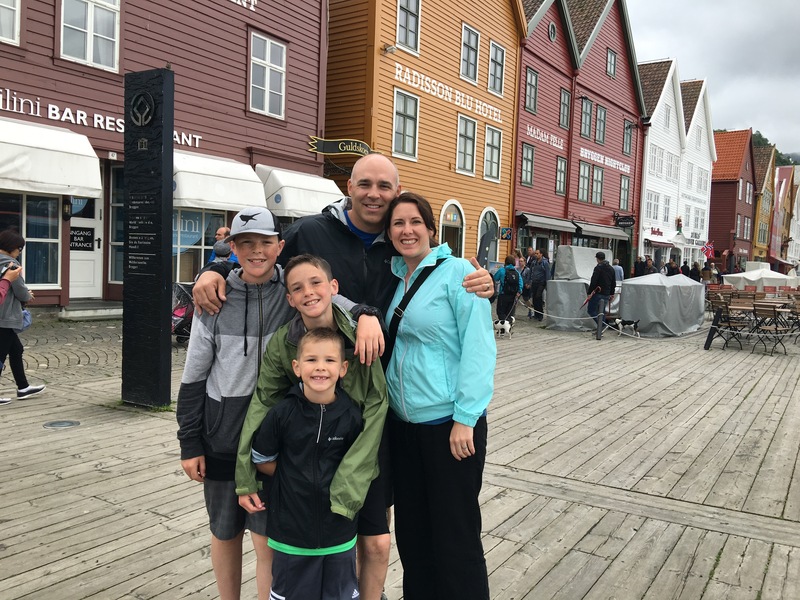 Happily, we were able to get Luke’s back from IcelandAir when we returned to Oslo and Tyler’s is in the mail and meeting us in Amsterdam. At the time, we thought they were long gone. A couple of boys had answered prayers to get those back! 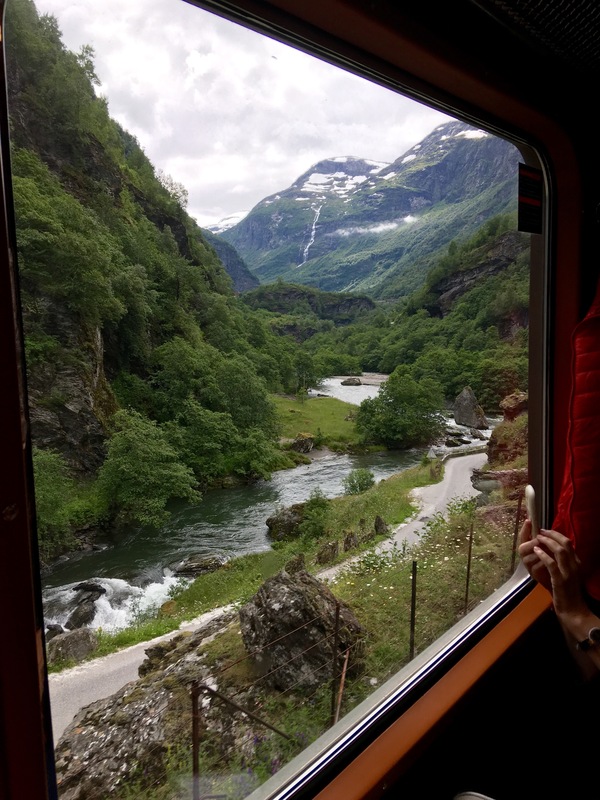 So, we were on the train from Oslo to Bergen with a stop in Myrdal to go down to Flam on what is said to be one of the most beautiful train rides in the world. I will tell you that it was beautiful! Everyone else slept through it. 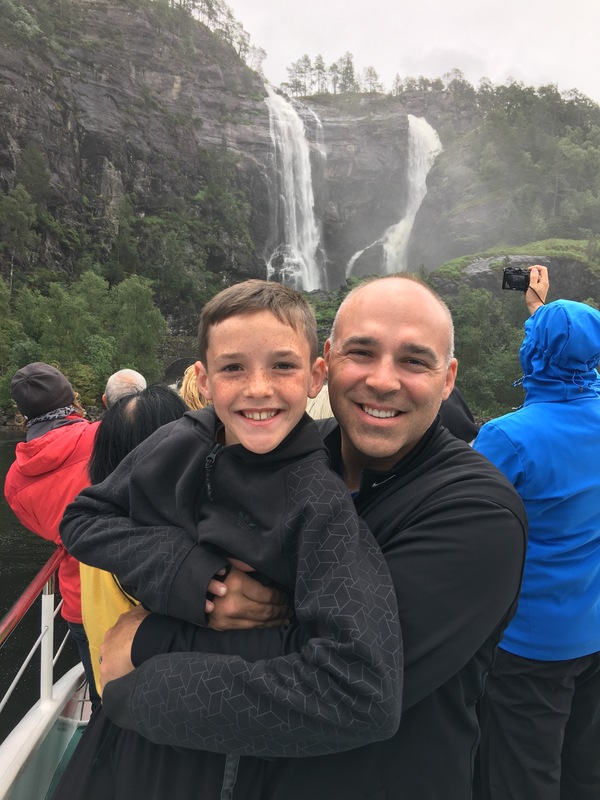 Well, Jeromy woke up for the trip to Flam, but the boys missed it all except when we dragged them out for 5 minutes to see the waterfall. I would have to say that although they missed some amazing scenery. The were pretty impressive in their ability to sleep through anything! 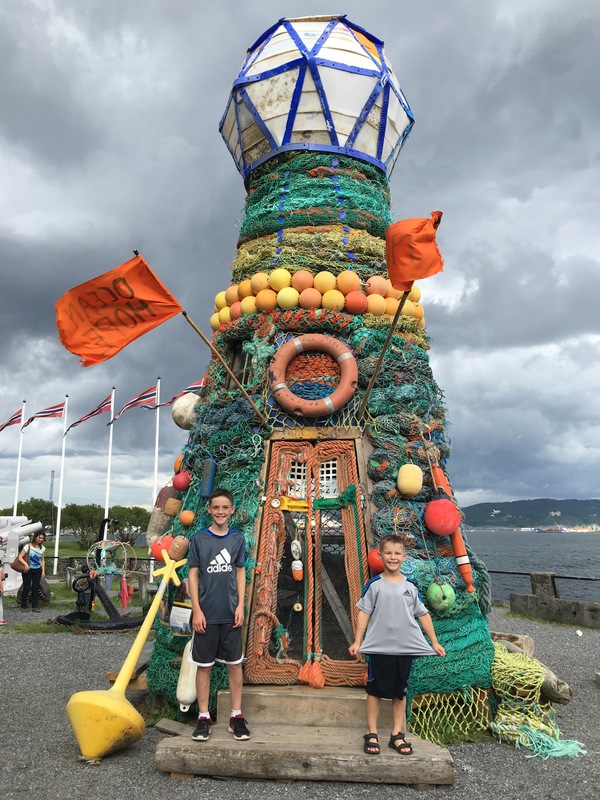 We finally got to our hotel in Bergen, had dinner ($29 for a hamburger and fries for Parker!! 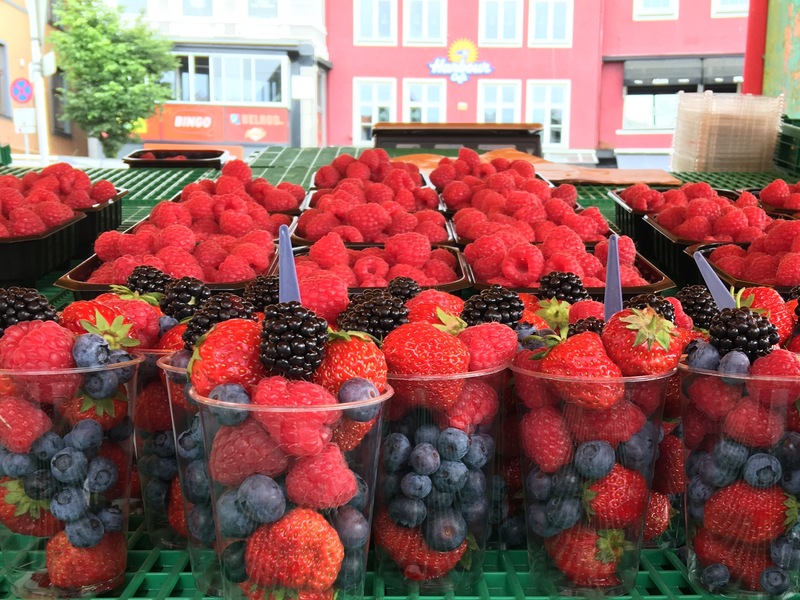 Norway is expensive!) then went right to sleep. The next morning we were all feeling much better. Well, everyone but Luke. 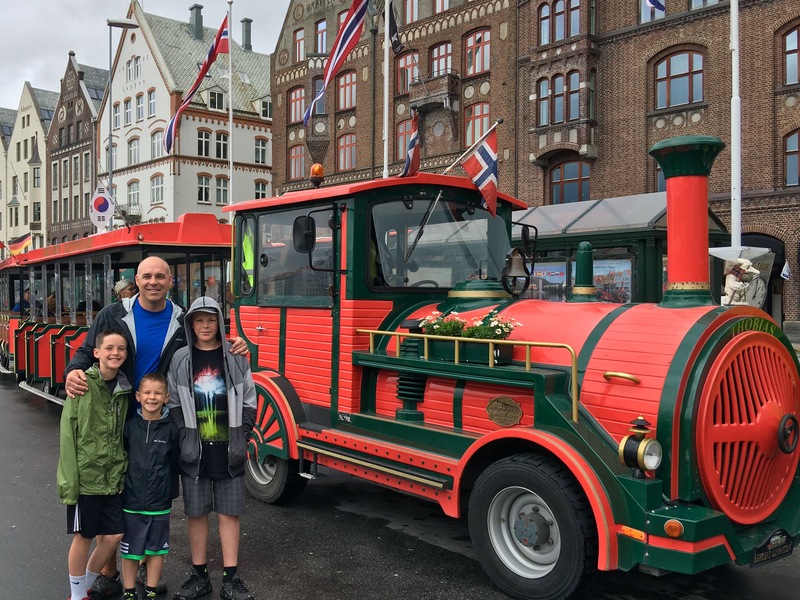 We decided to start the day with a little train ride around Bergen. 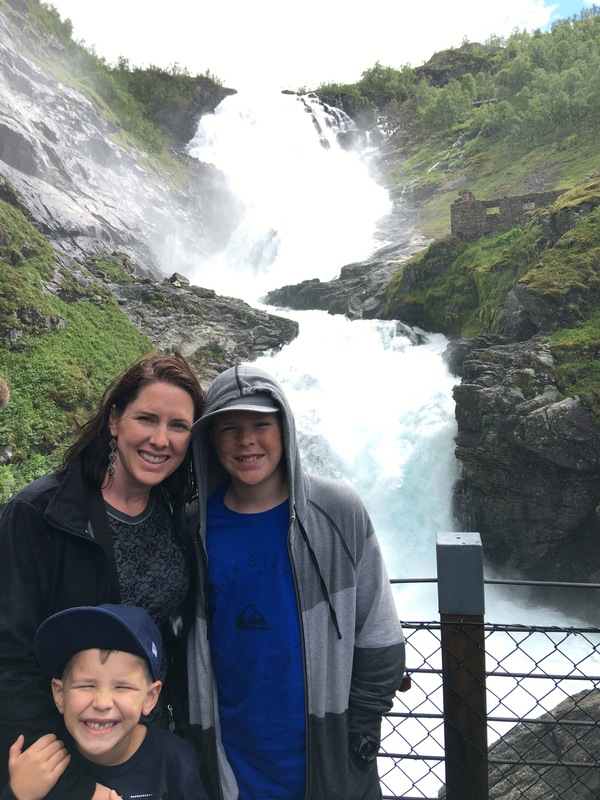 Luke is smiling in the picture below but he wasn’t about an hour later when he threw up in the train, then when he threw up hanging his head out the window as we drove around Bergen. I don’t think it was a very good advertisement for the company with passersby staring at him as he puked out the window! 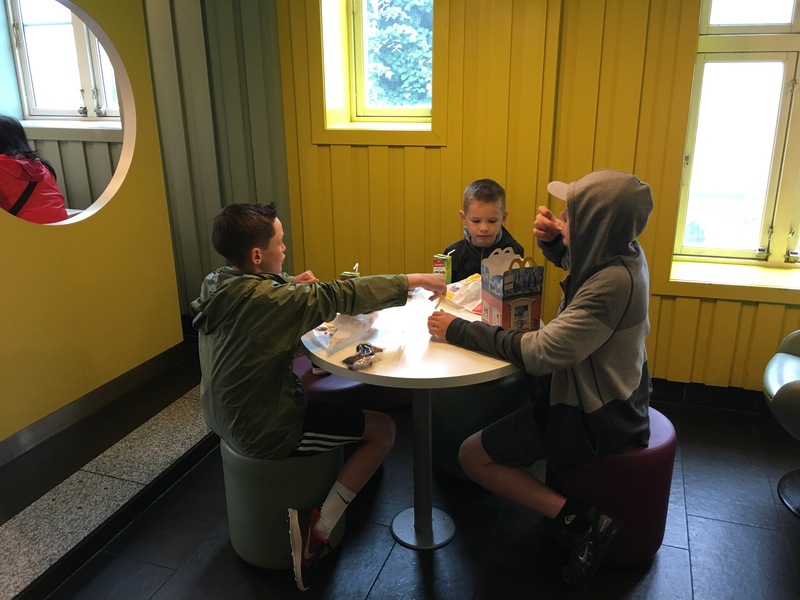 After the past 24 hours, we figured our kids needed a taste of something familiar, so we let them go to McDonalds (in the past something I would never do traveling). 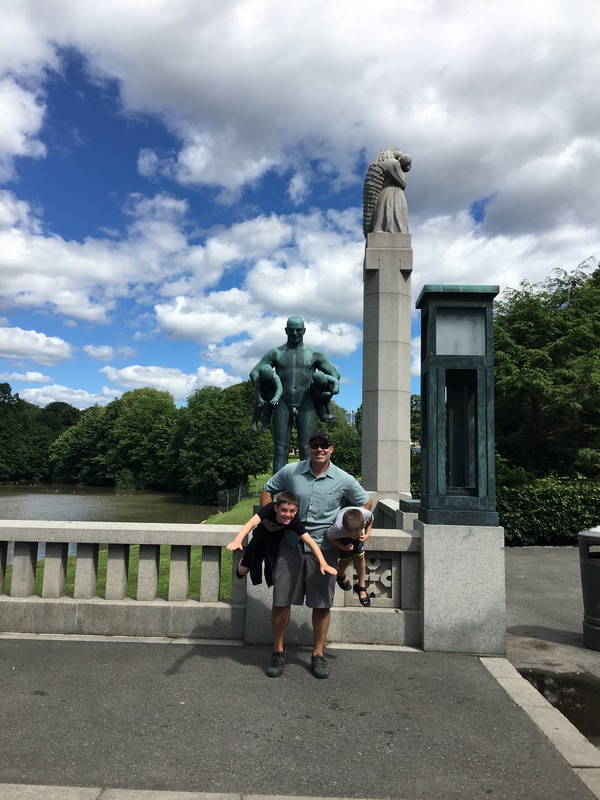 I am realizing that if we are going to be gone a year, I am going to have to let go of some of the preconceived notions of how we should travel, and sometimes, just live our lives how we want to. However, I’m pretty sure eating at McDonalds is always a low. 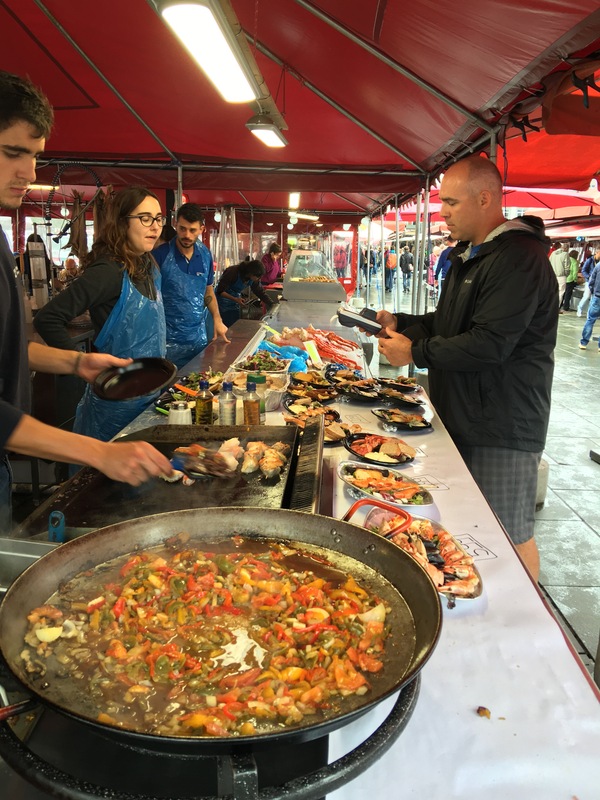 Jeromy and I brought us to the beginning of our highs when we ate from the local vendors at the fish market and it was delicious! We all even tried whale jerky. If you can get over the idea that you are eating whale, it wasn’t bad. We really only had a sample though. It only got better from there! In some ways it reminded me of the Pacific Northwest where we are from. The fresh berries were delicious, and reminded me of home, as well as the gray skies! And just like the PNW, when the sun came out, it took the beauty to a whole new level. 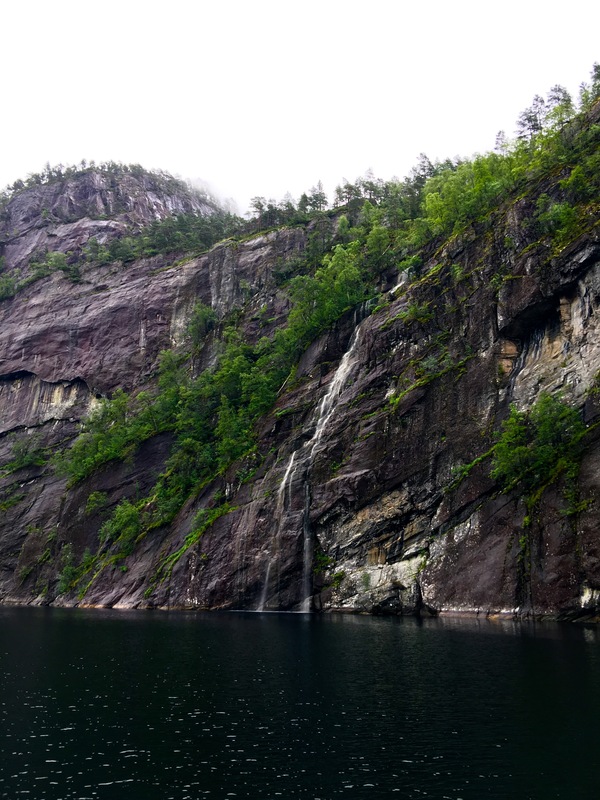 In the coastal areas in Norway near Bergen where we were staying, there are tons of fjords (long narrow channels of the sea surrounded by high cliffs usually formed by glaciers that have melted over thousands of years). 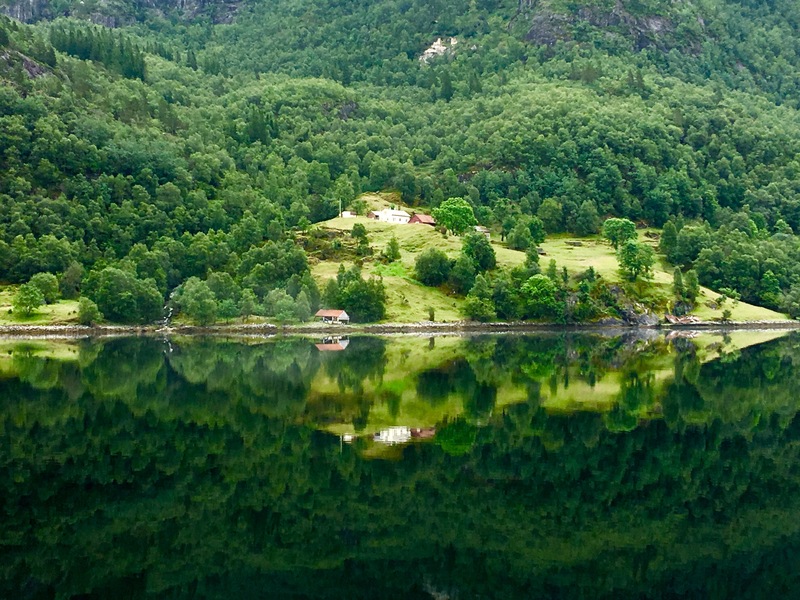 In fact, Bergen is located in a Fjord. 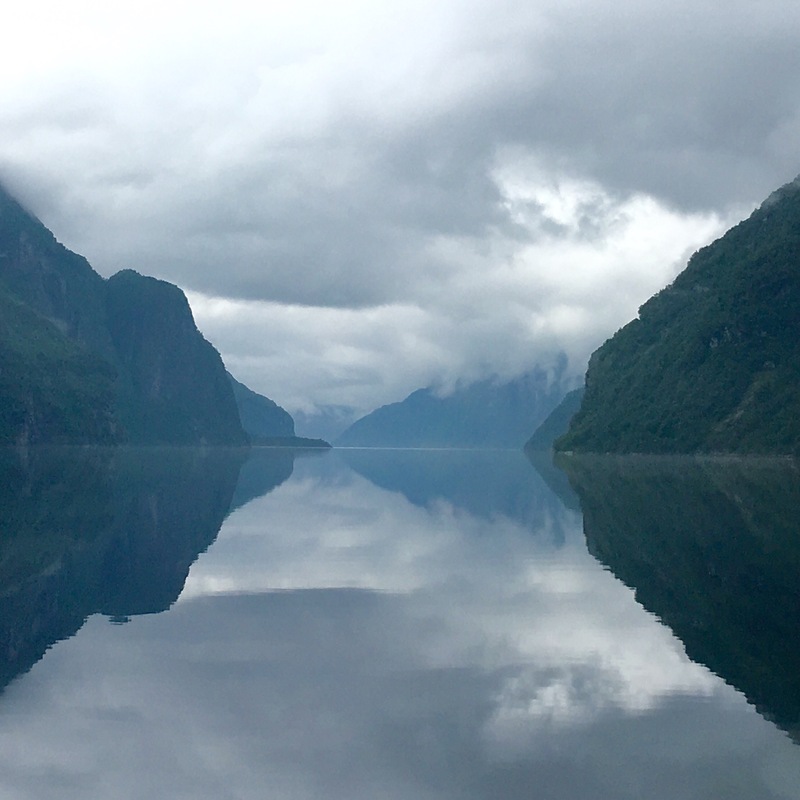 We were able to go on a boat ride through the fjords to experience them up close and they were breathtaking. 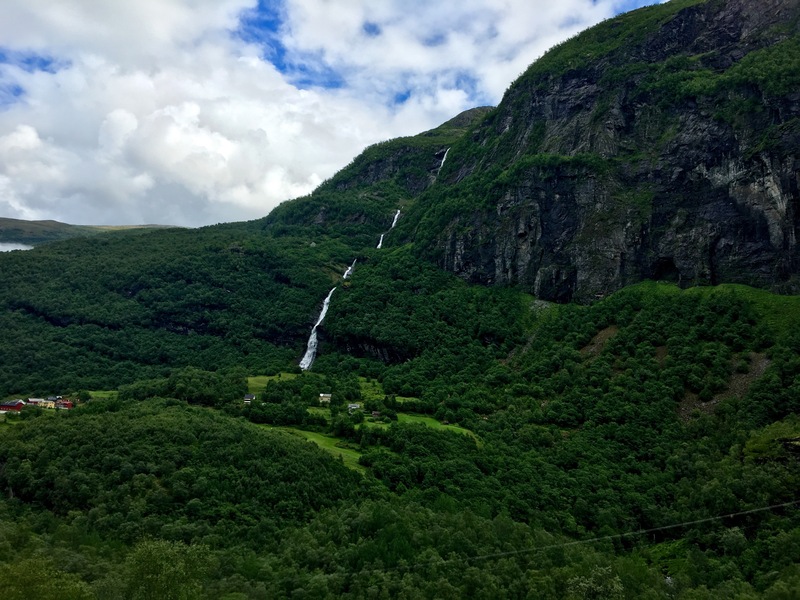 We saw more amazing waterfalls than I could count, and beautiful small towns surrounded by high cliffs cut out by glaciers thousands of years ago. The pictures don’t do it justice because it is so hard to show the grandeur through a camera lens. 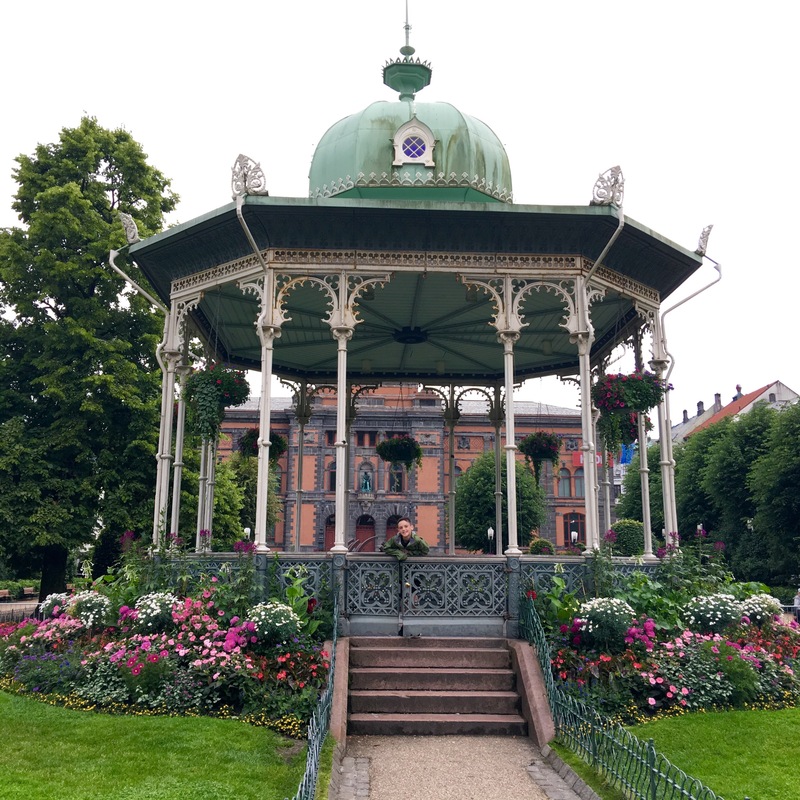 We went to Bergen for the natural beauty, but the town itself is a treasure as well and also a UNESCO world heritage site. 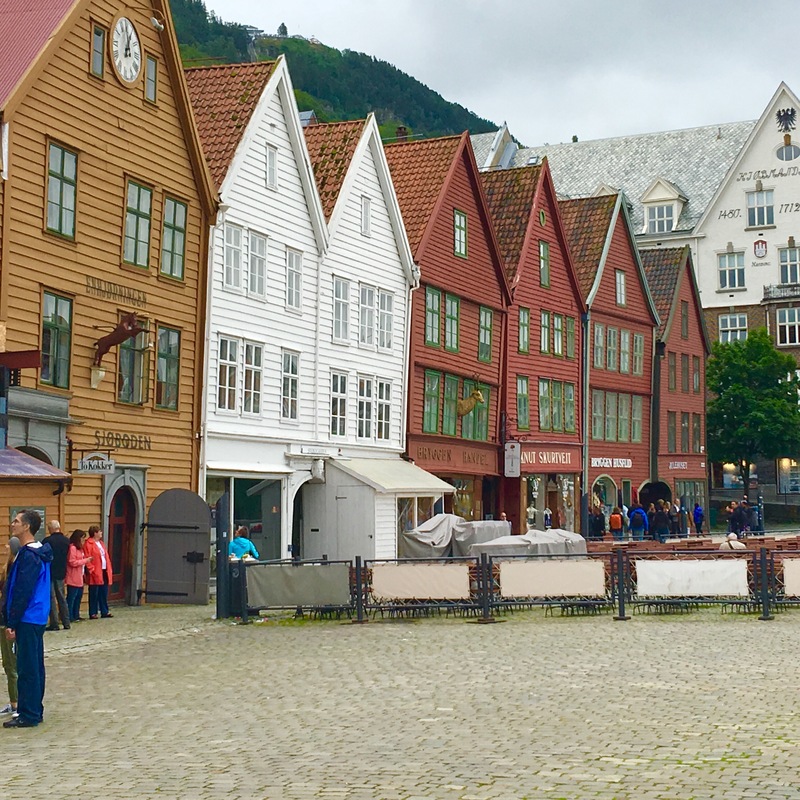 We were able to wander the walkways of Bryggen, an area of Bergen that in about 1350 a group of Hanseatic merchants built and it continues, although having to be rebuilt over the years due to fire, to this day. 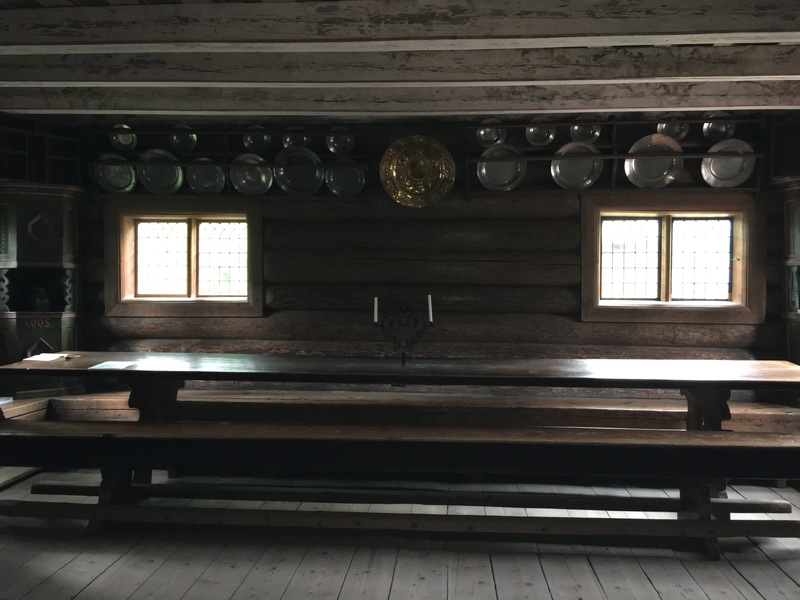 It’s said in Bryggen there isnt a straight line to be seen. All the buildings are so old and no electricity is allowed to fix anything! 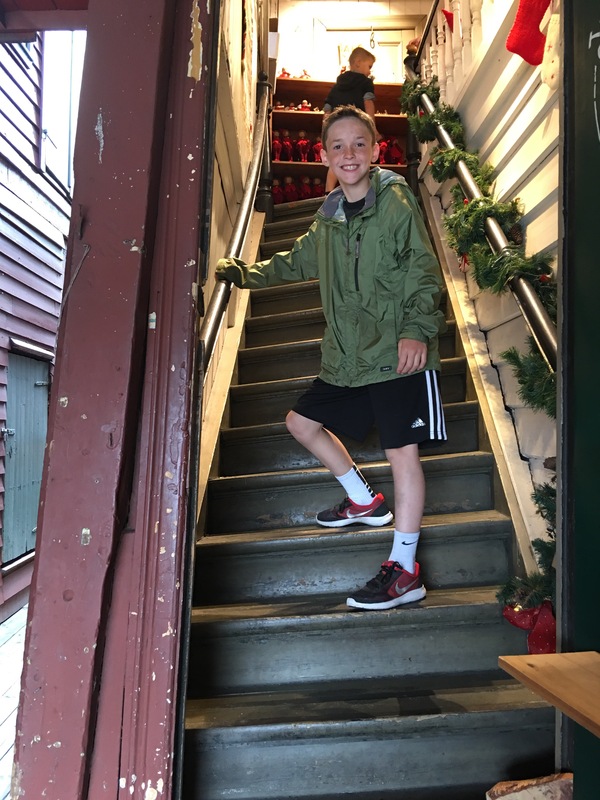 These stairs are a great example! 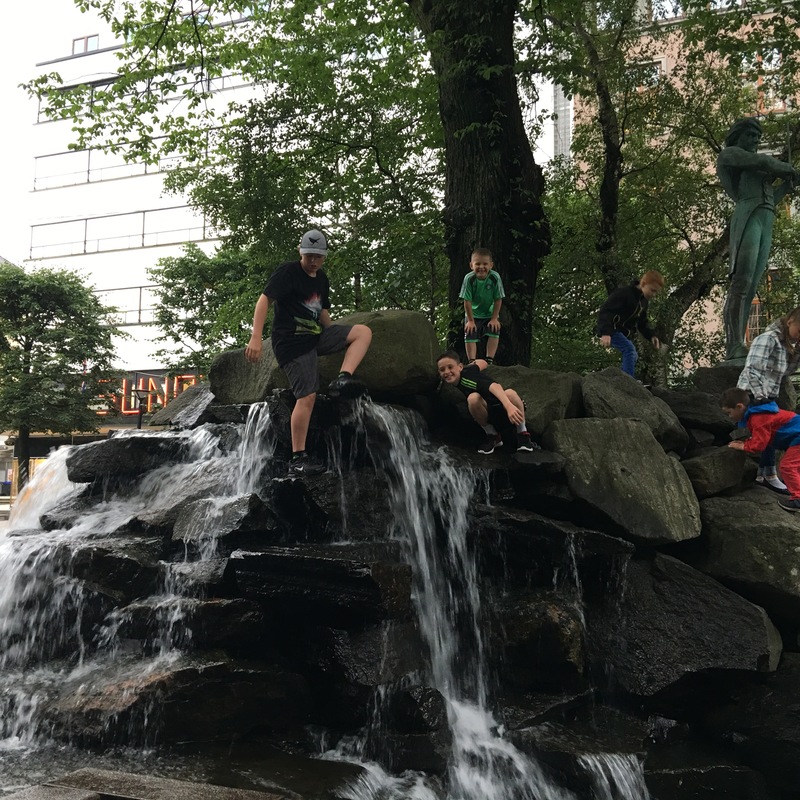 The boys favorite part of Bergen had nothing to do with UNESCO world heritage sights or natural wonders…they loved to play in the fountains! 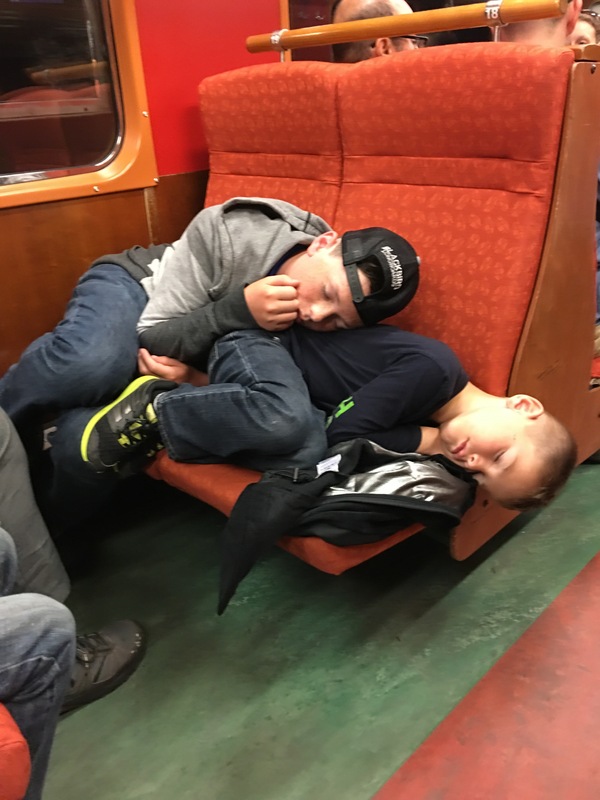 We left Bergen after a few days and all stayed awake for maybe not all, but most of the beautiful train ride back to Oslo. 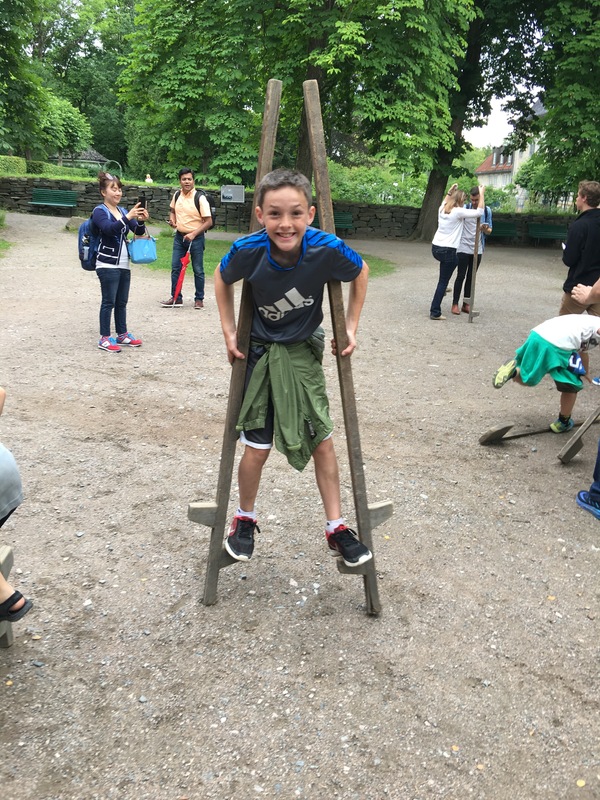 Oslo is a wonderful place for kids. Here are some of the reasons why. Unexpected treats! It started with getting to our hotel and them offering each of the kids a popsicle. Right there it made it the best hotel they had been to! They also had laundry facilities which was nice for us parents too! 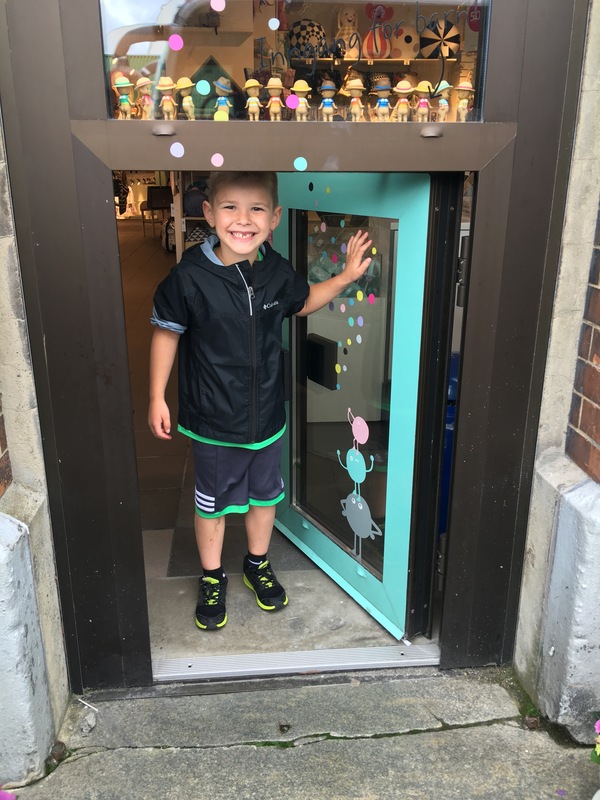 Kid friendly museums! 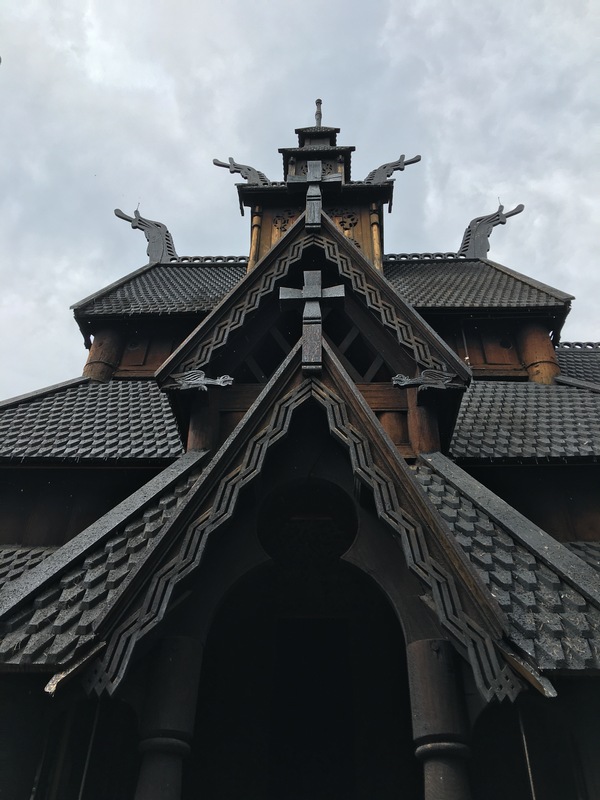 Oslo also has a lot of amazing museums. 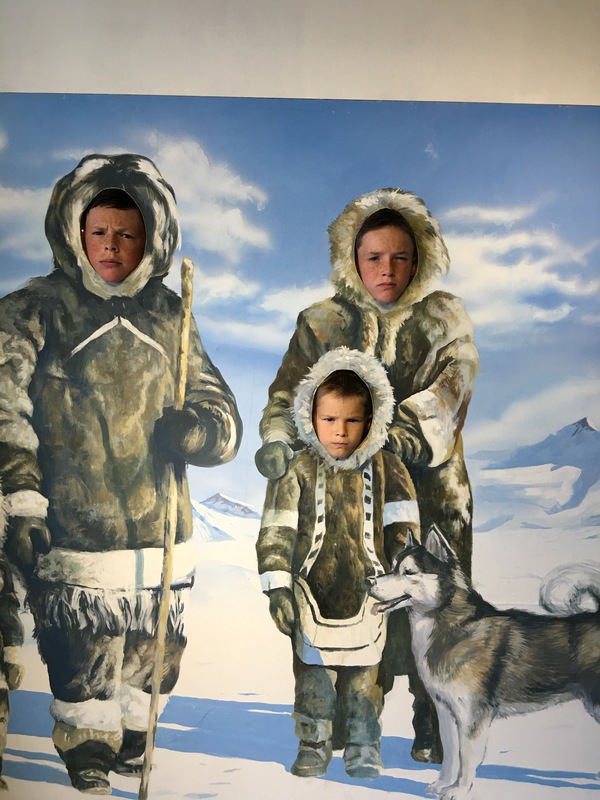 We were only able to touch on a few but they were great, and very interesting and fun for the kids. 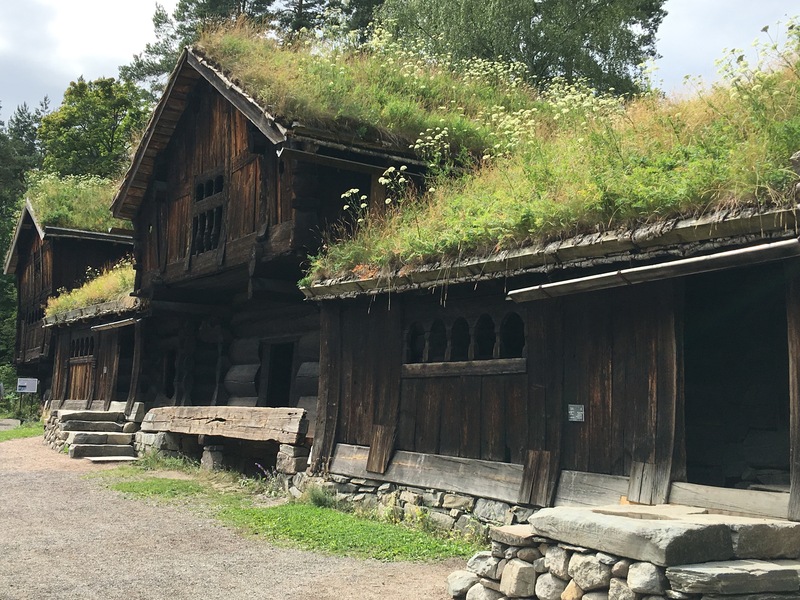 We started at the Norwegian Museum of Cultural History where we were able to see actual houses that had been relocated from different regions of the country. 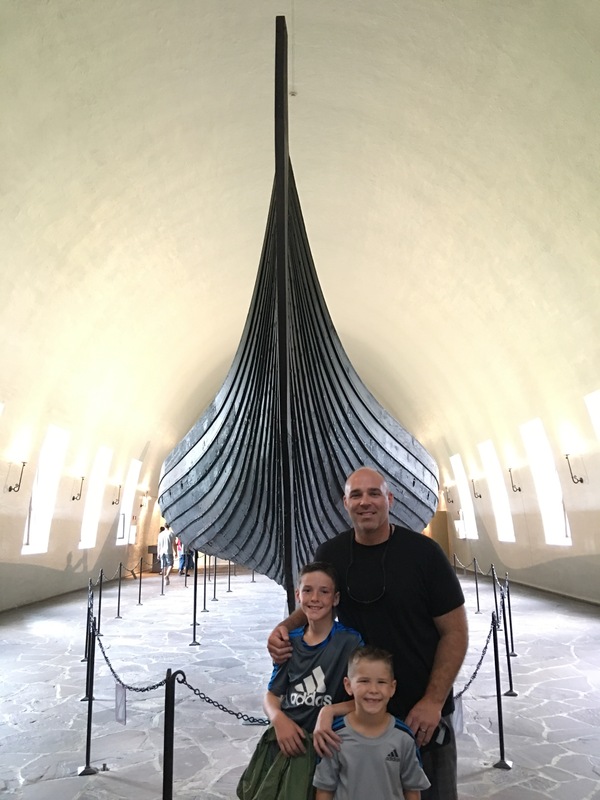 Then we got a little more of the Vikings at the Viking Museum where we were able to see actual Viking ships from the 1100’s. 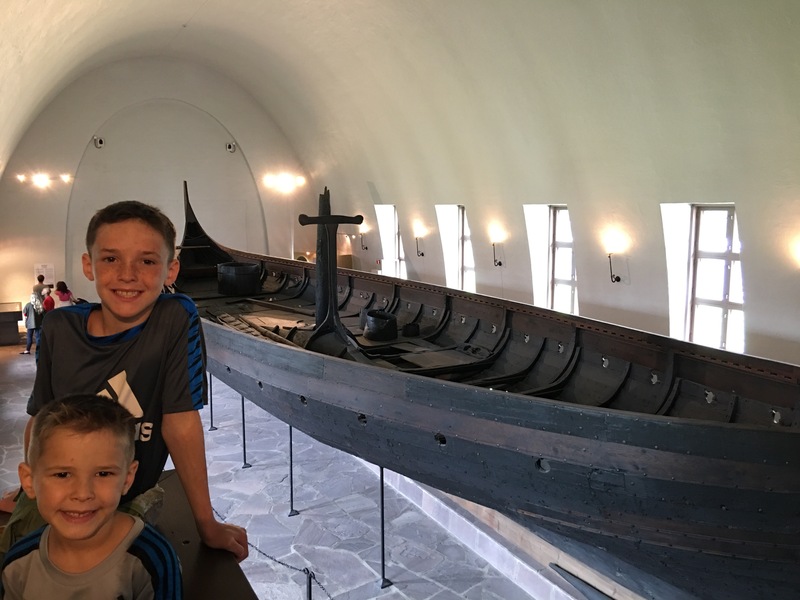 We ended at the Fram museum which has two full size ships that the boys could go on and explore. 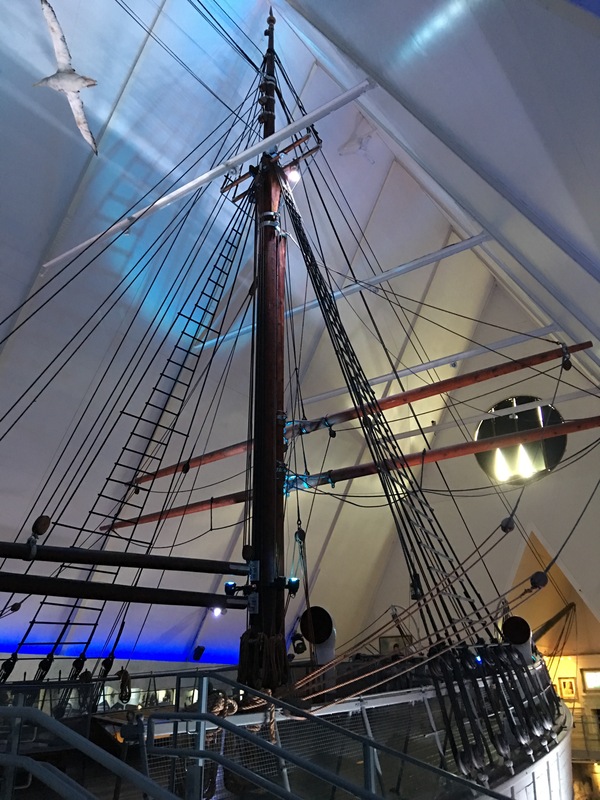 The Fram (the name of the ship), was used in polar expeditions and they had a lot of interesting and fun polar expedition activities for the boys. Random slack line! 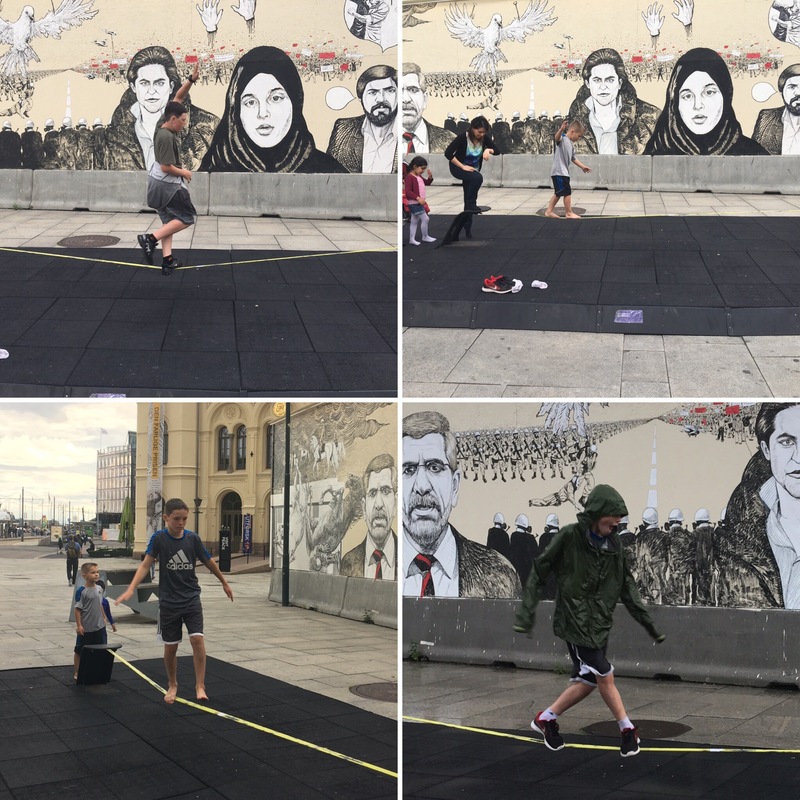 We were just finished up from a long day of museums when what do we see randomly in front of a mural and The Nobel Peace Museum, but a slack line! 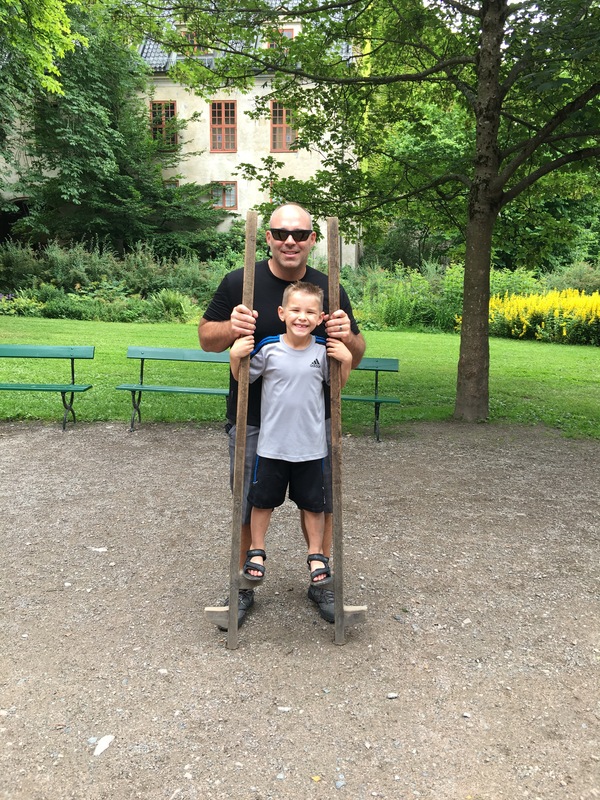 My boys love slack lines and quickly went over and lined up with the other tourists trying it out. 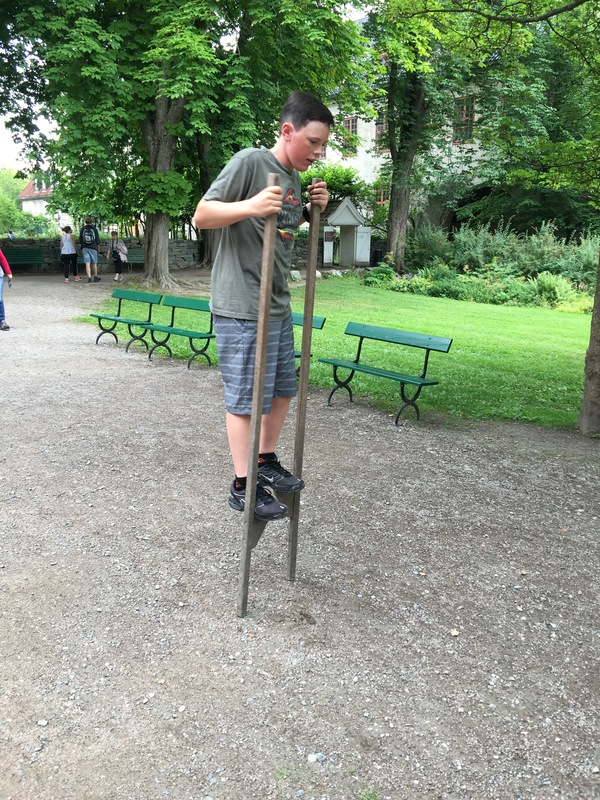 Since they had done them before the boys were pretty good and after only a few tries, Parker made it across. Everyone was amazed and clapping. Tyler, not to be outdone, kept trying and trying. He does not give up easily! Suddenly, a rainstorm came and we sought refuge under a crepe food truck’s awning (of course we had to get a Nutella crepe while we waited it out). Tyler, undeterred by the rain, continued trying the slack line. Finally, clothes soaked through, he finally made it over. He made me come watch so I could get a picture too! 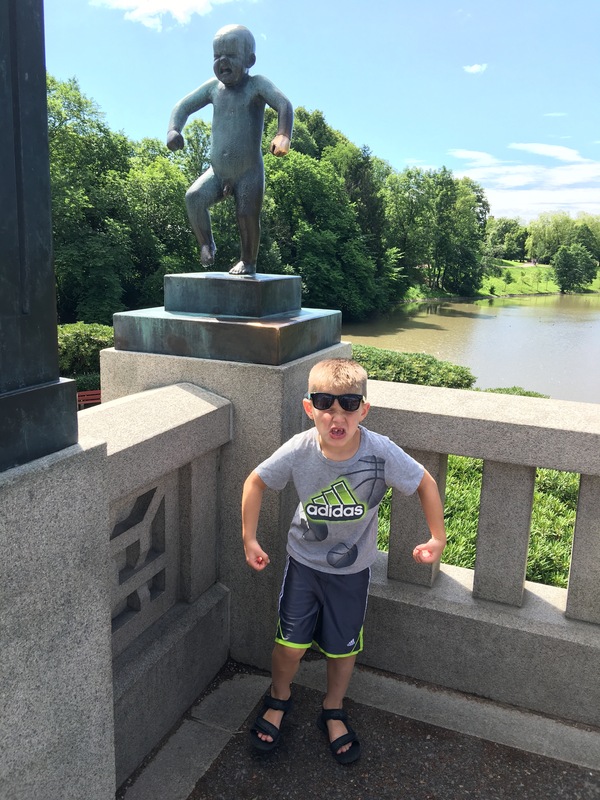 Funny statues! 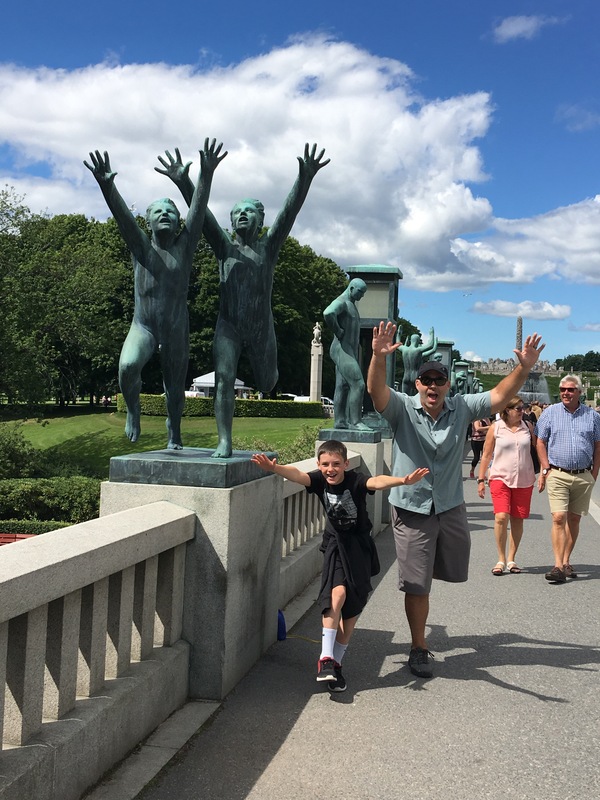 Actually not all of the statues were funny, but the most famous statue in Vigeland Park is called “Angry Boy” and the kids thought it was pretty funny. 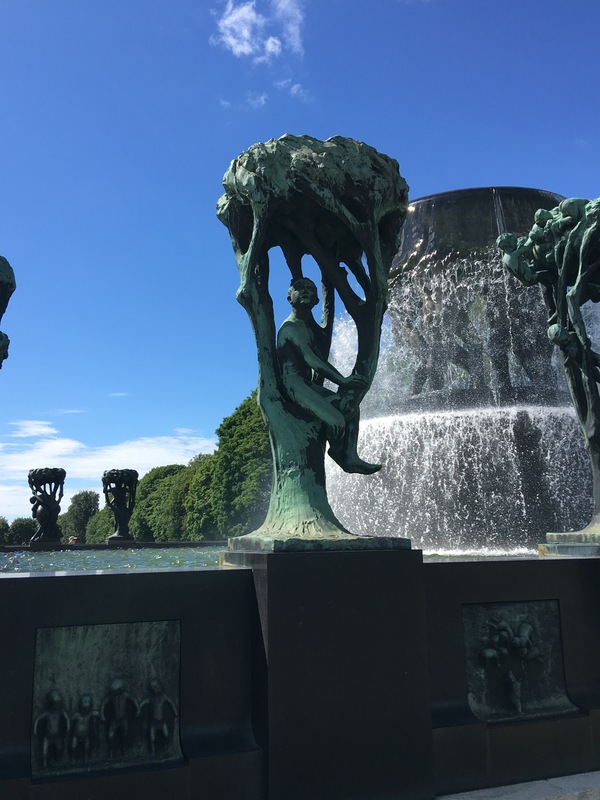 The park itself was an incredible work of art with over 200 statues by Gustav Vigeland in bronze, cast iron, and granite. To keep it interesting for the kids, we had fun acting some out! Trolls! 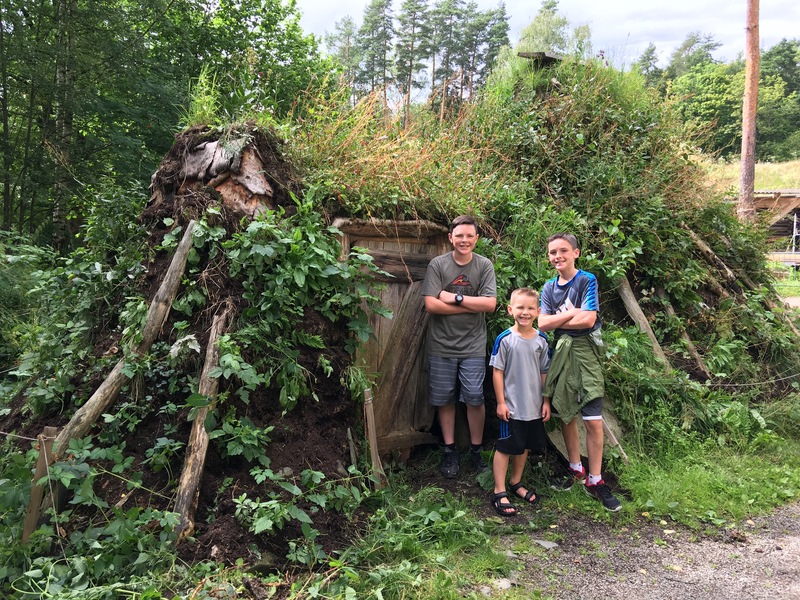 Icelandic people had their elves and in Norway they have their trolls. I thought it was crazy that they still kind of believe in these things, but then I remembered that my kids are absolutely certain that Bigfoot is real. I guess we all have our legends that are more fun to hang on to than dismiss altogether. 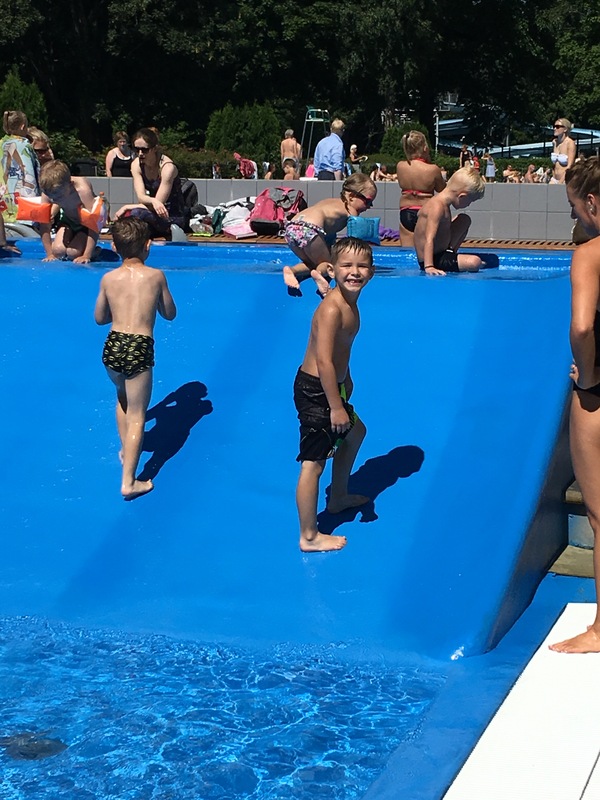 Awesome Swimming Pools with High Dives! 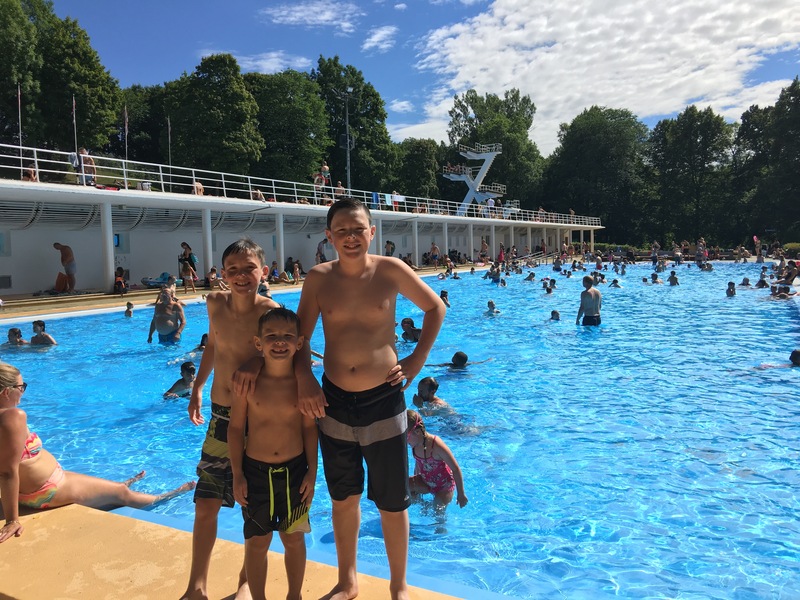 The day we left we headed over to the local pool in Oslo and had a great time swimming there! 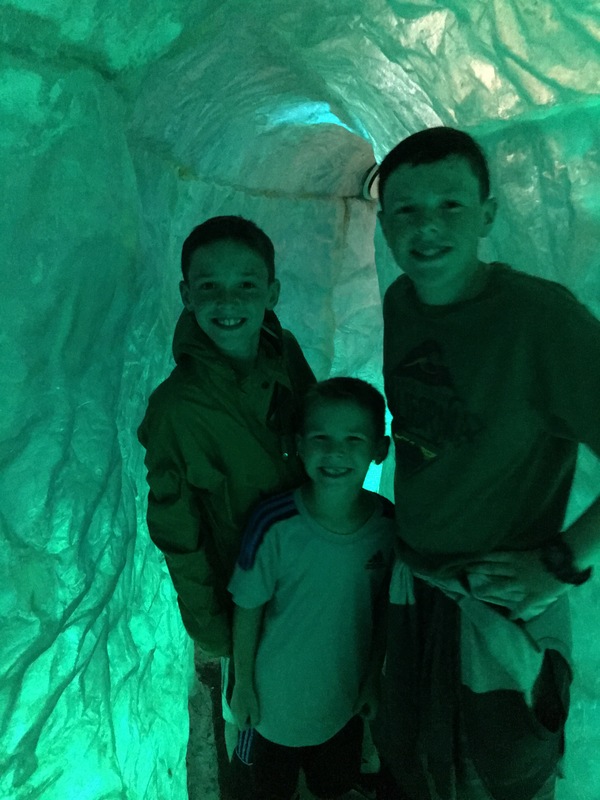 They had high dives and water slides and it was a welcome change for the boys from going to museums! 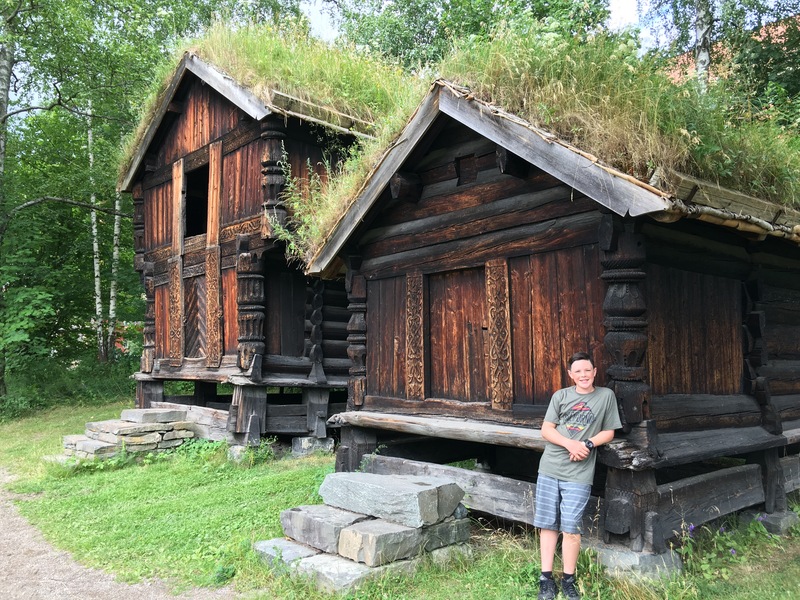 Overall, while there were many highs and a few lows in Norway, that is what you have to expect when traveling and it makes for better stories when you are done! 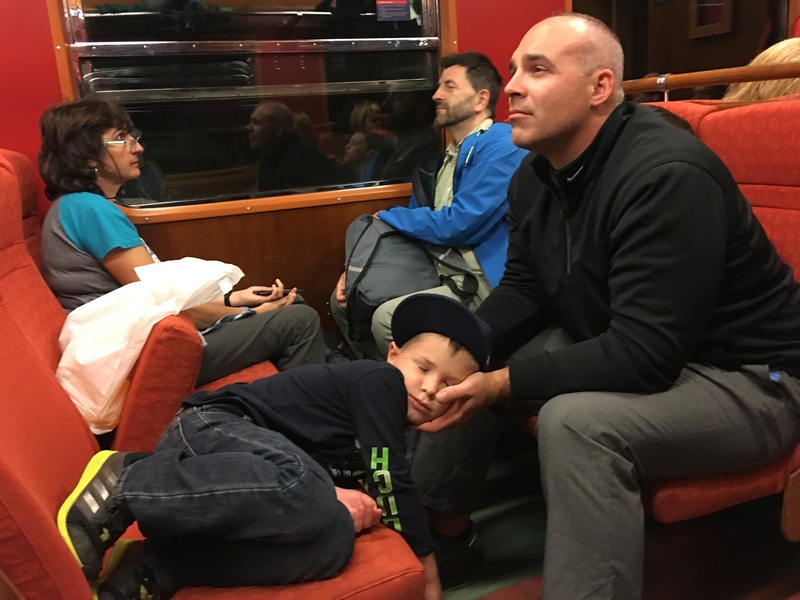 We ended on a high note and headed out of Norway on a 5 hour train ride to Stockholm, Sweden. 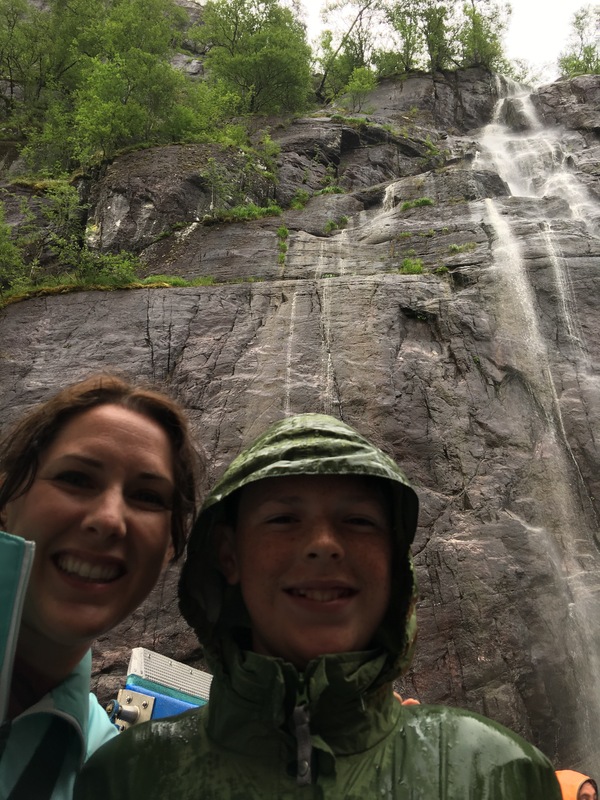 While my time in Norway was mostly cloudy and drizzly, I LOVED the nature, people, and culture. 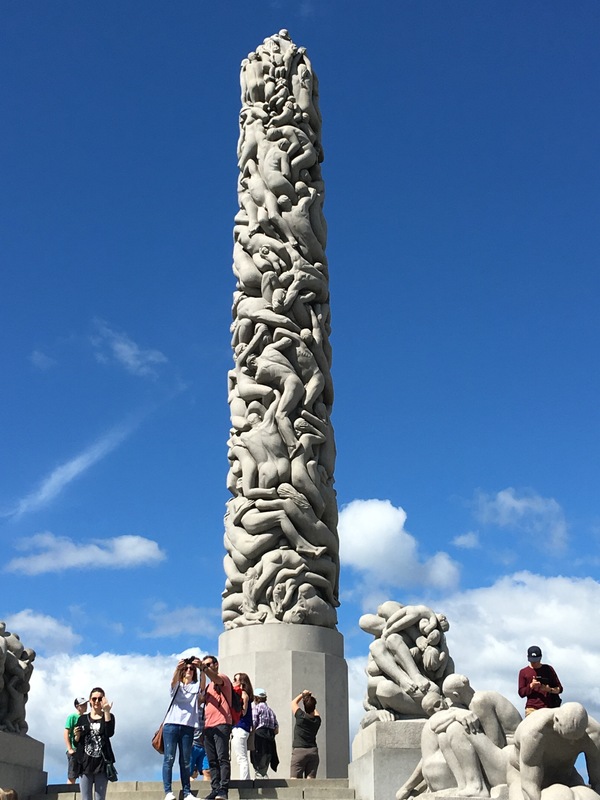 I only saw Stavanger, so thanks for sharing so much more. Wow! 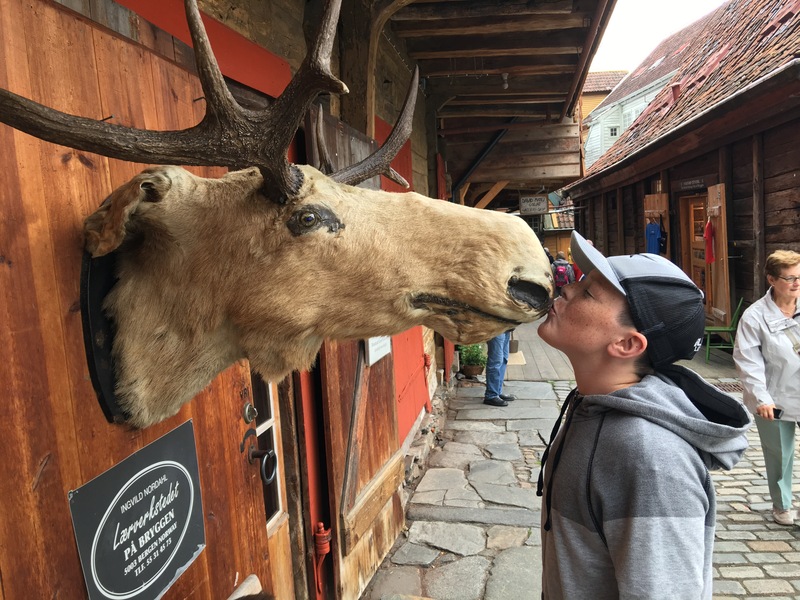 Love the complete review of your travels… both the good and the bad. 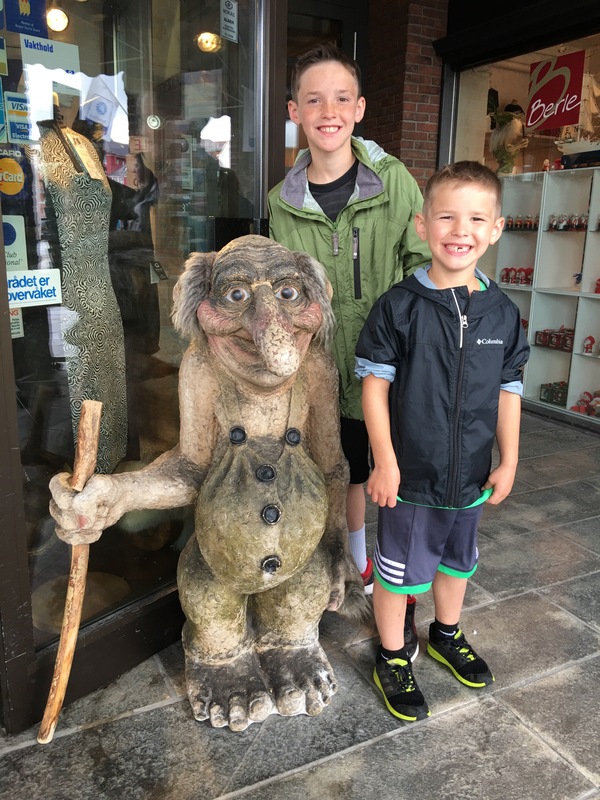 Thanks for sharing your travels. Keep it up. Wow! What amazing scenery, I am sure they are even more spectacular in person! 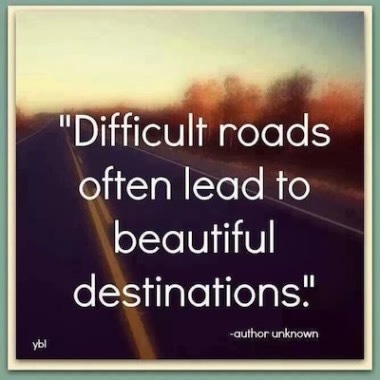 I love following your journey and love to experience it along with you xxoo Stay safe! Your adventure has just begun. Wait til you see Amsterdam and train down to Italy and Spain. A wealth of historic architecture, museums, scenery and the awesome food you will eat. First time I went to Europe for 3 months and I gained 13 lbs. Good thing I started out thin. It’s all just one giant food trip and the further south you go the better it gets! Make sure you visit the Tratorias in Italy, food is awesome and less expensive. AMAZING! You KEWL KATZ are living the dream. Be safe and have fun. I know the kids are learning way more by experiencing it rather than reading about it. Final note – don’t knock McD’s, at least you know what you are getting. Beautiful scenery! 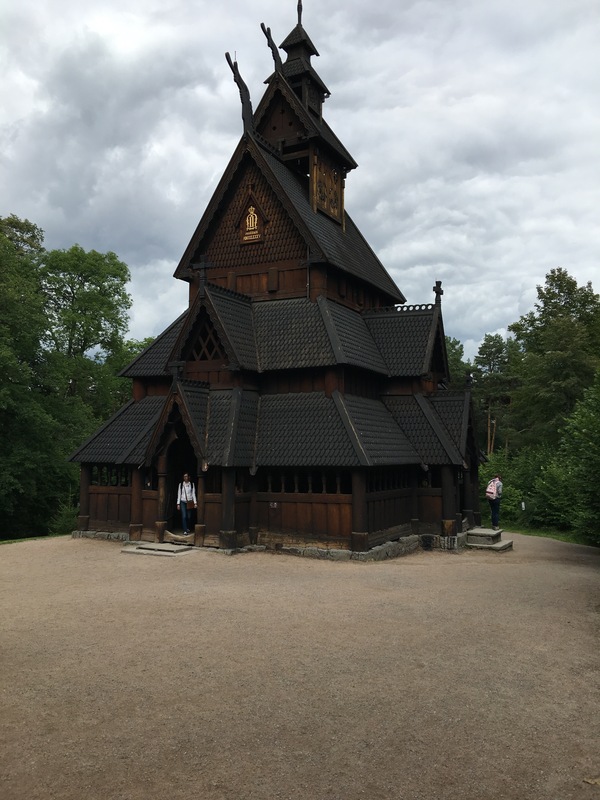 I’m curious how you like going to church abroad? Translators help? It’s been a cool experience! The LDS Tools app makes it so easy to find the nearest meetinghouse, time they meet, and in what language. 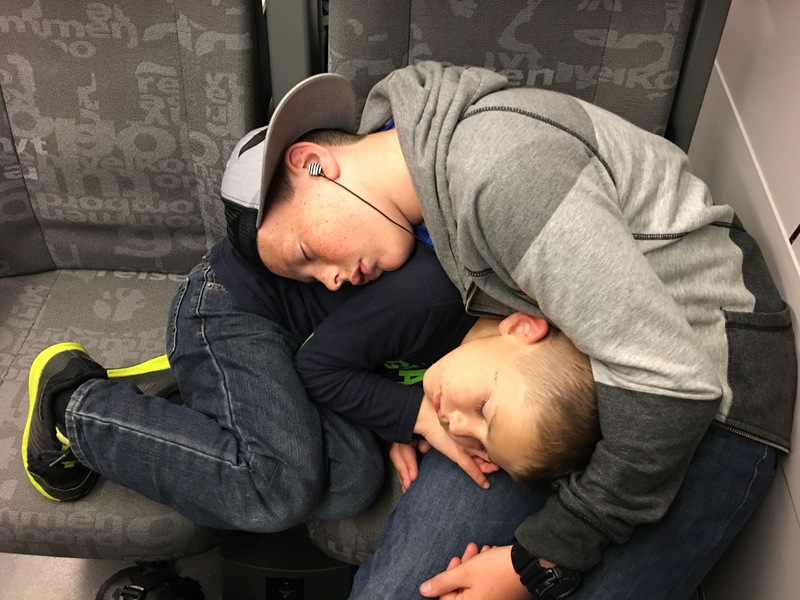 We’ve been to church in Iceland and Germany so far and in both places they had headphones we could put on and a missionary would translate for us. We didn’t expect this at all, we are spoiled here! Since the classes would be in the native language we haven’t stayed for all 3 hours yet, but we are looking forward to it soon!